Job Profile: Responsible for accounting, budgeting, compilation, billing, auditing, GAD related work and any other work allotted by the controlling officer from time to time. Essential Qualification: Bachelor Degree in Arts, Science or Commerce from a recognized University with minimum 55% marks or its equivalent in B.Com in aggregate or 55% marks in Honors/Major subject (B.Com) or minimum 55% aggregate marks or its equivalent for Arts or Science graduate having Mathematics or Statistics as one of the subjects or 55% marks or its equivalent in Mathematics/Statistics as Honors (BA/B.Sc. ), For departmental candidates (employees of APDCL/APGCL/AEGCL), and those belonging to the Scheduled Caste/ Scheduled Tribe minimum qualifying marks in bachelor degree is 50 %. Computer Proficiency: A candidate must possess proficiency in computer application and having diploma certificate in computer application with minimum duration of 3 (three) months. Essential Qualification: Minimal HSSLC or equivalent examination recognized by Govt. satisfaction of the Controlling officers. Transmission Lines/Generating Stations for electrical/mechanical/civil works etc. and any other work allotted by the controlling officer from time to time. 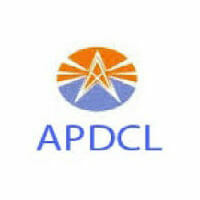 For APDCL: HSLC or equivalent with ITI in the trade of Wireman/Electrician from Govt. of Assam approved Institute. For AEGCL: HSLC or equivalent with ITI in the trade of Electrician/Fitter from Govt. of Assam approved Institute. For APGCL: HSLC or equivalent with ITI in the trade of Wireman/Electrician/Fitter/Welder/Machinist, from Govt. of Assam approved Institute. Rs. 500.00 (Rupees Five Hundred only) for General/OBC/MOBC candidates and Rs. 250.00 (Rupees Two Hundred Fifty only) for SC/ST candidates. Application fees are exempted for PWD candidates. Candidate has to pay the application fee through online mode only by using Net Banking/Credit Card/Debit Card. Eligible and interested candidates are required to apply through online mode only in the “Career” section of APDCL website i.e., www.apdcl.org. No other means/mode of application shall be accepted. Online submission of the applications will be available on the website between 18.08.2018 to 12.09.2018.